June 2001 – Amanda Brown’s novel Legally Blonde is published by AuthorHouse. October 2001 – Reece Witherspoon, Luke Wilson and Jennifer Coolidge star in the film Legally Blonde. 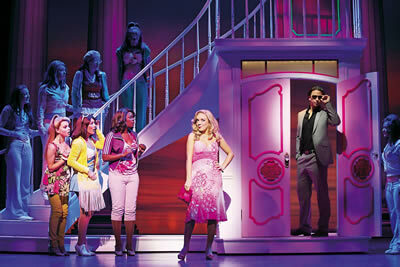 January 23rd 2007 – Legally Blonde the Musical receives a short run at San Francisco’s Golden Gate Theatre. 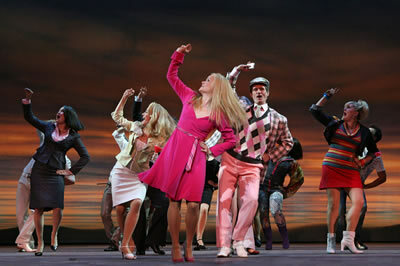 April 29th 2007 – Legally Blonde the Musical transfers to Broadway, receiving its premiere at the Palace Theatre, with previews beginning April 3rd 2007. June 24th 2007 – The production achieves a huge milestone, grossing $1,003,282 in ticket sales. September 18th 2007 – A live filming of the musical takes place. October 13th 2007 – Legally Blonde the Musical is broadcast on television, with subsequent air dates including October 14th, November 3rd and November 14th 2007. June 2nd 2008 – MTV premieres a new television show, Legally Blonde: The Musical – The Search for Elle Woods, searching for the next leading lady for the Broadway musical. July 23rd 2008 – Reality show winner Bailey Hanks takes over the role of Elle Woods. 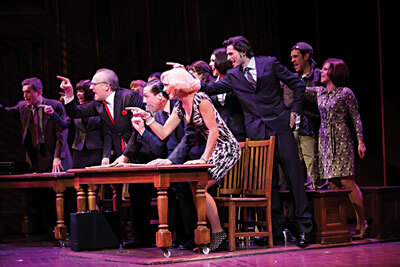 September 21st 2008 – The first US National Tour of Legally Blonde embarks, featuring many of the original ensemble. 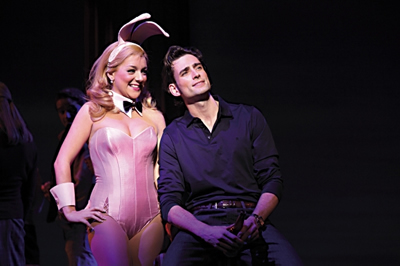 October 19th 2008 – Legally Blonde the Musical closes on Broadway after 595 performances and 30 preview performances. December 5th 2009 – Previews for the London production of Legally Blonde begin. January 13th 2010 – Sheridan Smith, Duncan James and Jill Halfpenny star in the West End premiere of Legally Blonde the Musical at London’s Savoy Theatre. September 21st 2010 – A second US National Tour embarks, starring Nikki Bohne. The tour later closed on May 15th 2011. January 10th 2011 – Susan McFadden replaces Sheridan Smith in the London production of Legally Blonde. 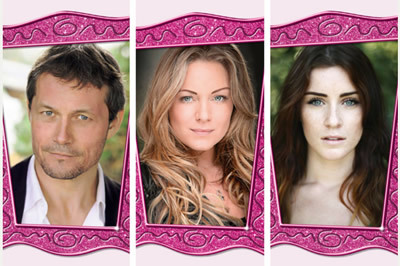 July 8th 2011 – Legally Blonde the Musical embarks on its first UK Tour, starring Faye Brooks as Elle Woods. The tour closed on October 6th 2012. 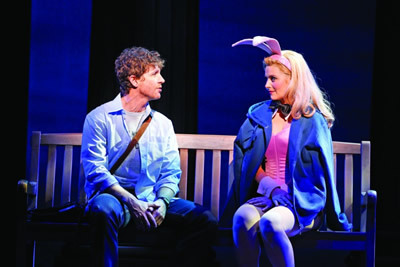 July 11th 2011 – Hollyoaks star Carley Stenson steps into the shoes of Elle Woods in the London production. March 13th 2011 – The West End production of Legally Blonde the Musical picks up three Olivier Awards, including Best New Musical, Best Actress in a Musical for Sheridan Smith and Best Performance in a Supporting Role in a Musical for Jill Halfpenny. April 7th 2012 – The London production closes at the Savoy Theatre, after 974 performances. October 4th 2012 – An Australian production of Legally Blonde opens at the Lyric Theatre, Sydney, starring Lucy Durak as Elle Woods. After winning five Helpmann Awards, including Best Musical, the show closed on July 14th 2013. 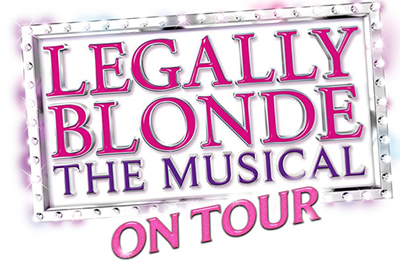 October 2nd 2017 – Legally Blonde the Musical embarks on a brand new UK Tour, starring Lucie Jones as Elle Woods and Rita Simmons as Paulette.